Thank you for visit us, and welcome to My Cabo Tours, we are your best entrance to the Mexican Pacific Ocean. We will be very happy to bring you through this magnificent adventure in Los Cabos My Cabo Tours is the E-business area of the tour operator company TRANSLAMEX S.A. de C.V. which have more than 19 years of experience in Cancun and Riviera Maya, attending more than 2 million of satisfied customers enjoying the principal tours and sites in the destination. Recognized as one of the best tour provider companies, let us bring you our excellent service, for your great pleasure and family enjoyment. Los Cabos is the meeting point of the Pacific Ocean and the Sea of Cortes, also known as the Gulf of California. A marine eco-system so rich in its diversity and beauty that in 2005, UNESCO declared the 244 islands in the Sea of Cortes a World Heritage Site. We are pleased to give the best tours around Los Cabos. Please feel free to contact us at any time. So welcome and enjoy! 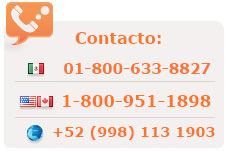 The prices of products and services in this WEB site may be published in different currencies, for charges, the amount of the transaction will be converted and charged in US dollars or Mexican Pesos depending your account currency using the currency exchange rate of the bank or the one published in the Mexico´s Official Gazette. © Copyright MyCaboTours, 2007-2019. All rights reserved. OWNED AND POWERED BY TRANSLAMEX, S.A. DE C.V.